Ohio has had some of the most restrictive dog laws in the country. That began to change in 2012, when the Ohio Legislature eliminated language that classified specific dog breeds as “vicious” from the statewide statue. While this language was removed on a statewide basis, many city and county governments have not yet followed the General Assembly’s lead. Darlene Russ moved to the city of Reynoldsburg, Ohio with her mixed-breed dog, Leah, in 2014. As she was moving in, she was cited by the city as owning a pit pull – a violation of the city’s ordinance which classified pit bulls as “vicious dogs.” Ms. Russ filed suit against the city, challenging its ordinance, maintaining that the city’s ordinance impermissibly conflicted with state law. Despite the support of an amicus brief from the American Society for the Prevention of Cruelty to Animals (ASPCA), a local court sided with the city following a trial and the case was dismissed. Ms. Russ appealed the decision to the Ohio 5th District Court of Appeals, again with an amicus brief entered by the ASPCA. The amicus brief noted that scientific research shows no correlation between breed specific bans and enhancement of public safety. On April 24, 2017, The Ohio 5th District Court of Appeals agreed. The court’s opinion reversed the trial court and determined that the Reynoldsburg city ordinance was unconstitutional in that it prohibited what Ohio law allows. Ms. Russ was represented by Phil Calabrese of Porter Wright Morris & Arthur LLP. 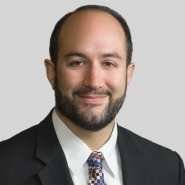 J. Philip Calabrese is the Co-Chair of the firm's Class Actions Practice. He can be reached at 216.443.2504 or [email protected].